Surrounded by a gorgeous natural environment, regrouping five villages – Nyárádremete (Eremitu), Vármező (Campu Cetatii), Köszvényes (Matrici), Mikháza (Calugareni) and Deményháza (Damieni) –, counting 3800 inhabitants, the commune of Nyárádremete lies on the south-western part of the Görgény (Gurghiu) mountains (Eastern Carpathians), at the feet of the Bekecs (Bichis) mountain, in the vicinity of the sources of the Nyárád (Niraj) River, at a height of 560 meters above sea level. For centuries country of dense, almost impenetrable forests, snowy peaks, forts and hermits, the region resisted the movement of protestant reformation, its inhabitants remaining faithful to the Roman Catholic Church. This is why even nowadays the region is often referred to as “Szentföld” – “Holy Land”. 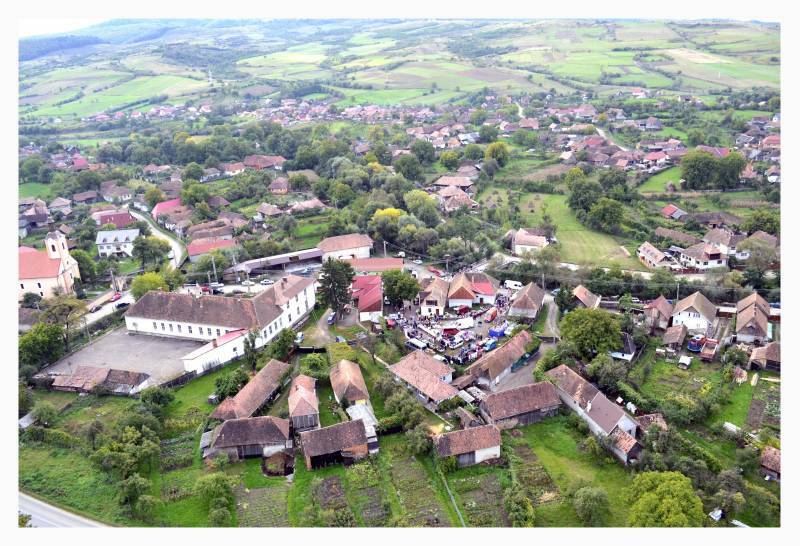 The first written source to mention Nyárádköszvényes dates back to the year 1484, whereas the other three villages, Nyárádremete, Mikháza and Deményháza, are first mentioned in written documents in 1567. The highest peak in the region, Mező-havas (1777m), at a distance of 28 kilometres from Varmező, is the remainder of a huge volcanic crater, which once had a diameter of 5-6 kilometres, cut through by a stream called Székely pataka. The area boasts Romania’s largest trout farm, called Égerfástó. In the precincts of the village the remains of a roman road can be found that goes through Búzaháza (Gruişor) and Deményháza and finds its end in Mikháza.